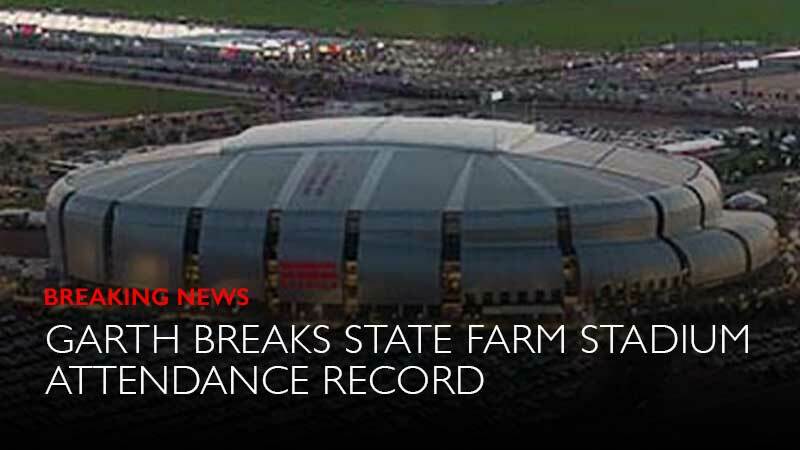 LOS ANGELES - March 23rd, 2019- Garth Brooks has broken the State Farm Stadium attendance record in Arizona. The previous record was held by the Final Four basketball tournament, set April 1, 2017. 77,653 tickets have been sold. He has also set a new entertainment record for any single-night performance in the history of Arizona. Garth has now gone vinyl with a new package titled, LEGACY. During the first pre-sale, Garth smashed records with 20,000 packages sold in under 18 hours, that's 420,000 vinyl records. Forbes noted, “To put this in context, The Beatles were the number-one vinyl artist in 2018 with 321,000 sales over 12 months.” The second 24-hour pre-sale window saw people secure an additional 300,000 vinyl albums. Glendale was the second stop on The Garth Brooks Stadium Tour. On the first stop, Garth broke the attendance record in The Dome at America’s Center in St. Louis. The concert was March 9th.